Did we miss something awesome? Let us know and we'll do a proper post! Email Geoffrey here. 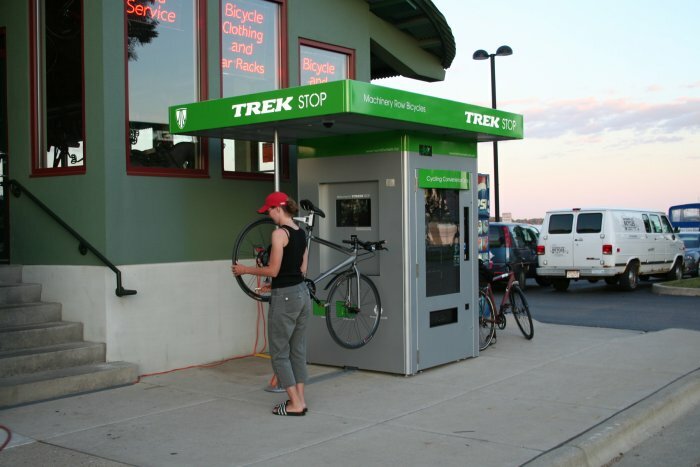 In 2008, TREK Bicycle contracted us to build the TREK Stop bike kiosk and vending. 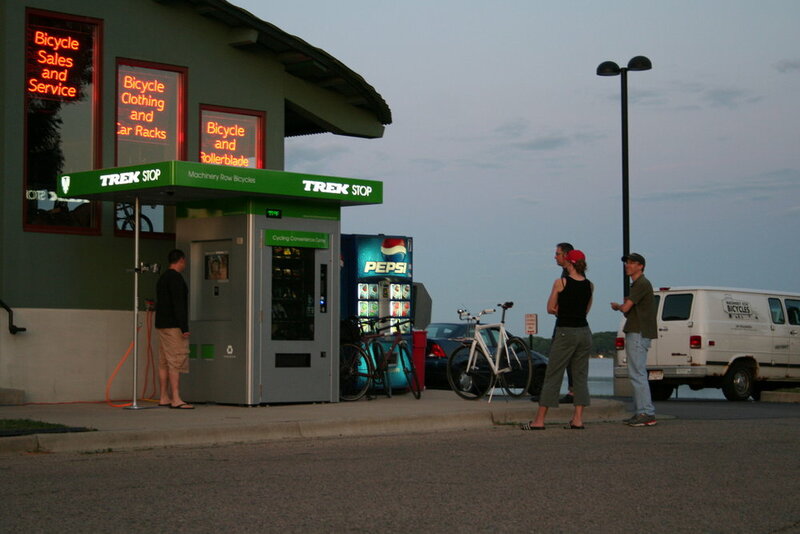 It was decked out with a work area, video screens, and vending for stuff like bike parts and energy bars. Interesting enough, the current operator of this kiosk says condoms are a big seller in the vending machine.